Financial Matters is an independent registered investment advisory firm founded on high ethical standards and values. It is all about helping our clients. The performance of the stock market is important. But, so are the other components to successful financial planning. 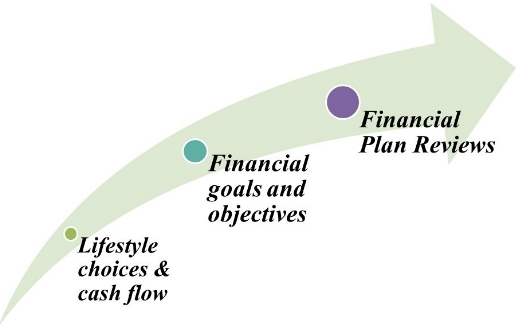 Financial planning may include taking the time to analyze lifestyle choices and cash flow, utilizing all of the tax advantages that are available, setting financial goals and objectives, protecting risk, and reviewing finances on an annual basis with a trustworthy financial advisor. At Financial Matters, our clients come first and foremost. We are dedicated to provide our clients with impeccable service based on integrity and competence. With the ongoing support from the independent broker-dealer, Royal Alliance Associates, Inc., we are positioned to provide our clients access to quality investment and insurance products. Valuing clients for a lifetime, from generation to generation, it is our goal to provide ideas and recommendations to help enhance our clients’ financial confidence in this constantly changing environment. Offering our clients a solid relationship built through confidence and trust, we truly care about educating our clients to empower them with the knowledge to help them make wise financial decisions. If you have questions regarding your current financial situation or wish to schedule an appointment please contact us. We offer flexible appointment hours to accommodate your schedule.